Apple sent out emails late Friday notifying developers that a second batch of Apple TV dev kits are being sent out to meet overwhelming demand. According to the note, a copy of which was obtained by AppleInsider, Apple is making an unknown number of Apple TV dev kits available to developers who applied to the program when signups went live in September. The first wave of units shipped out less than a week later. The same stipulations apply to the second wave of developers, who must accept terms and conditions through by Oct. 9 in order to participate. The date suggests public availability will come in the second half of October. Apple is charging the same $1 for dev kits, with shipments going out within one to three business days. 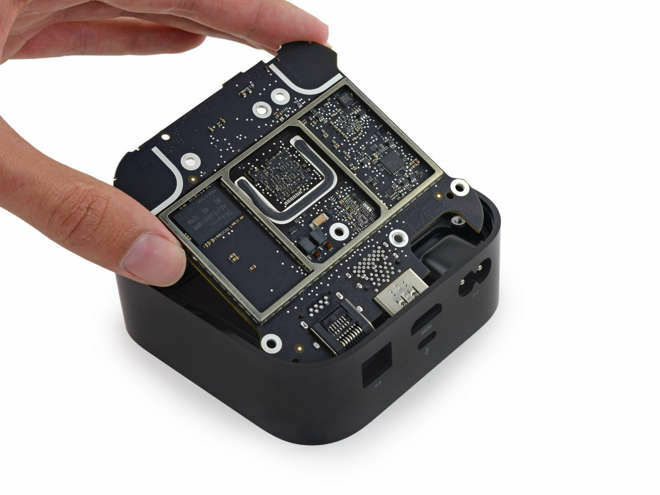 Apple's new Apple TV features a similar design to third-generation units, but is a quite a bit taller to accommodate powerful components like an overclocked A8 SoC and 802.11ac wireless communications package. Faster hardware is required to run Apple's new tvOS operating system that features a dedicated App Store and advanced Siri-based search functions. The early dev kits are going out in hopes of filling said App Store prior to launch. The fourth-gen device also comes with an all-new remote control with Siri integration, glass-covered touchpad and motion sensors. Aptly dubbed Siri Remote, the accessory communicates with Apple TV via Bluetooth, meaning viewers are not restricted to line-of-sight use. Apple's fourth-generation Apple TV is scheduled to launch later this month with a starting price of $149 for an entry-level 32GB model, and $199 for a 64GB version.